Prime Numbers Tell Stories: The Story of Seven. Prime numbers have a unique place not only in mathematics but in day-to-day life. The odd presence of a number that cannot be divided by any number apart from itself. There are many examples in biology where prime numbers drive special attributes of organisms ability to differentiate themselves. Marcus du Sautoy ran a fascinating program last year on BBC in the UK. The first few primes are 2,3,5,7,11,17 & 19. The number seven has always fascinated me. I began to notice many stories that included the number 7 as a central character. But I also began to notice there were many stories with 3 and 5 as well and i’ll write some of these stories another time. Getting back to the number seven here are just some of the stories and occasions that you will know so well. 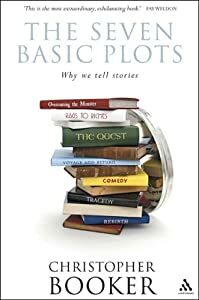 In addition Christopher Booker writes in his classic on storytelling that there are seven basic plots that we use in stories. He outlines that all stories boil down to plots based on: Overcoming the monster, Rags to Riches, The Quest, Voyage and Return, Comedy, Tragedy and Rebirth. So its strange that the number seven is a unique number as a prime and that there are so many examples where the number seven is so central to a story. There is something subliminal, and buried inside us that relates the number seven but I’m sure if your story has a rule of seven around it will resonate. Mark, I love this post and have been fascinated by the connection between the number seven and stories. So much so that I named my business Seven Story Learning two years ago! Andrew, Thanks for the comment. Yo are really living the seven story! Hi Mark, very interesting post! Ummmm your definition of prime numbers is half correct. Prime numbers: any number that can only be divided by ONE or itself.There are No numbers that can only be divided by itself.Also there are 13 musical intervals (octave is the 8th unsion is the first and 13th major is well 13th.). Plus Major ,Minor ,Perfect, Augmented, and Diminished for a total of 25 intervals.There are 8 visible planets. Mercury Venus Earth of course you consider earth your on it. Mars Jupiter Saturn Neptune and Uranus. Pluto is a Dwarf Planet.Also 8 basic directions. N,S,E,W,NE,NW,SE,SW. Source: Berkley theory of music 2nd edition. Math Source; Harcourt Brace Johanovich Elementary Mathmatics 4th edition. Source: Celestron planetary viewing guide. Source: The compass in my hand.. Question , do you know the only even prime number? It is substantially more important than 7. Matter of fact the universe as we know it would not operate without it. Many more things to tie it to than 7 . Seventh Heaven? Is an expression of joy or the place where muslims and kahballists believe where God and angels reside. Also was a bad t.v. show here in the states with anything but a heavenly cast. Please fact check your information.SMH. Hi Charles thanks for the clarifications.